In 1946, the Trans-Pacific Airlines (later renamed Aloha Airlines) was begun in Honolulu by Ruddy F. Tongg. Starting with 14 employees, the charter service began with a DC-3 equipped with “bucket seats,” in competition with Hawaiian Airlines. The new company offered special appeal with in-flight entertainment featuring singing, hula dancing, and ukulele playing stewardesses. 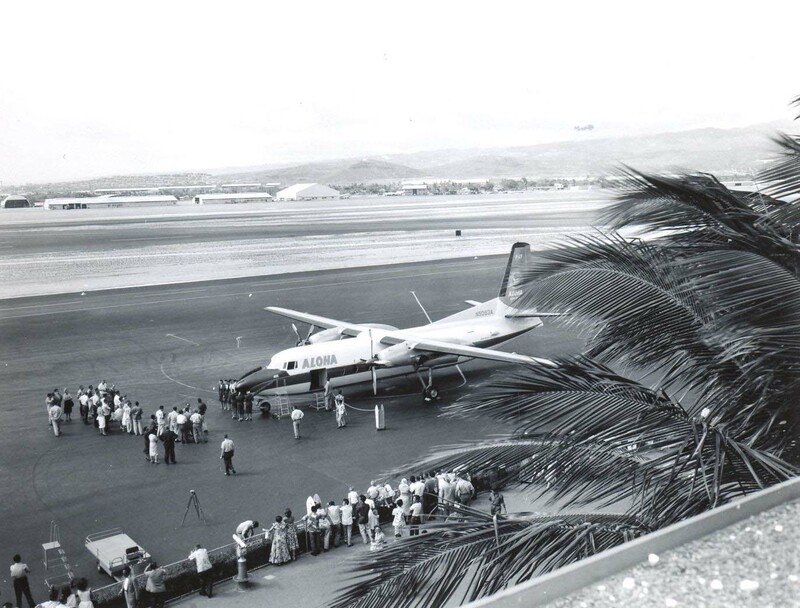 By 1949, in spite of legal difficulties, the local interisland flying service received its temporary certificate as a scheduled carrier. Olen Andrew became chief pilot and took charge of all flight operations. A family plan service was established in 1950, followed later by discount fares. Japanese speaking tour conductors and stewardesses were hired to accord its passengers from Japan service and typical island hospitality. President Eisenhower signed Aloha’s permanent certificate on July 20, 1956. At the time it was operating five DC-3s. 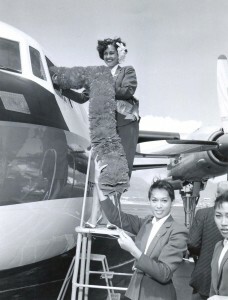 Having arranged for Aloha’s purchase of Rolls-Royce powered F-27 jet–props, Olen Andrew returned to active flying in the new airplanes in 1959. Two Vickers Viscounts were placed into service in June, 1963, and a third early in 1964.